Could the FAA have prevented the Max 8 disasters? Federal prosecutors and the Department of Transportation have launched investigations into the development of Boeing’s 737 Max jets, it was revealed this week, as both the aerospace giant and the Federal Aviation Administration were accused of cutting corners to get the planes into service. The Justice Department opened its investigation after a Lion Air Max 8 crashed soon after taking off from the Indonesian capital of Jakarta last October, killing 189 people. That investigation picked up pace, Bloomberg.com reported, following the March 10 crash of an Ethiopian Airlines Max 8 near Addis Ababa, which left 157 dead. The FAA grounded the 737 Max in the wake of that disaster, but only after 51 nations did so first. Transportation Secretary Elaine Chao this week ordered her department’s inspector general to audit the process the FAA used to certify the 737 Max—which entered service in 2017—as safe to fly. The two crashes have raised concerns about the “culture of coziness” that has developed between the FAA and Boeing. A lengthy investigation in The Seattle Times found that the FAA outsourced key elements of the 737 Max certification process to the company and that Boeing’s own analysis of an automated flight control feature designed to prevent a high-speed stall was deeply flawed. That feature has been implicated in both crashes. 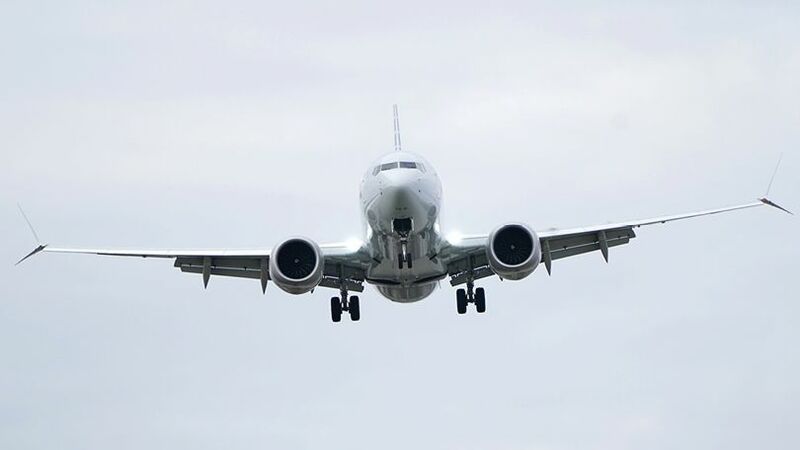 A former FAA safety engineer who worked on the certification told the Times that as Boeing raced to get the 737 Max in the air to compete against rival Airbus’ new A320neo, the agency “rushed” and curtailed reviews of technical documents supplied by Boeing. The company and the FAA say they followed all certification and regulatory requirements. These disasters have put the FAA’s reputation as a global standard setter at risk, said the Financial Times. An initial investigation into the Lion Air crash found that the onboard flight control software “repeatedly countermanded the pilot’s commands and pushed the aircraft’s nose down as they tried to climb.” Why didn’t the FAA insist that all pilots be trained in how to retake control? And why did it let the 737 Max keep flying at all? “This is what happens when corporations run the government,” said Dana Milbank in The Washington Post. The FAA’s acting head is an ex–vice president of the Aerospace Industries Association, and Trump’s nominee to run the agency is a former Delta Air Lines executive. “In Trump’s broader corporatocracy, fully 350 former lobbyists work, have worked, or have been tapped to work in the administration.” These industry insiders have pushed deregulation, which boosts their old bosses’ profits at the expense of our safety.